Since times immemorial, songs have been our “knight in the shining armor”. Songs affect our souls because they carry emotions and even make us dive into a pool of feelings like- happy, sad, romantic, etc. Few songs carry beats that will automatically make you tap your feet and dance, even though you are a bad dancer. Few will energize you, few will make you determined and focused. The Unique Selling Proposition (USP) of songs is the emotional connect which they maintain with their audience. It is also called the ESP- Emotional Selling Proposition in marketing language. Brands have been using this ESP to attract customers, lately. Brands target customers by jellying up the product essence by the appropriate song or just create their own version of it. 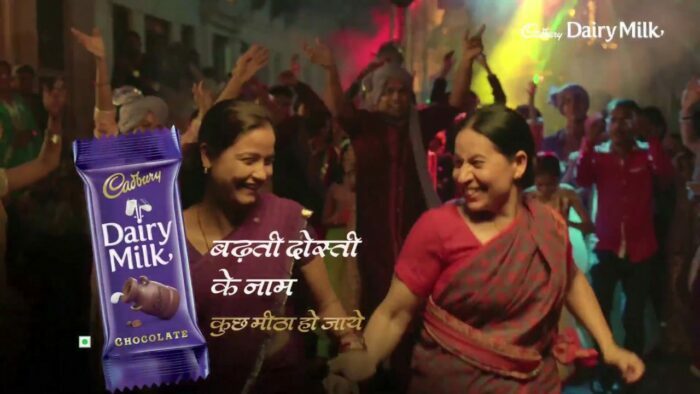 Marketers have taken a filmy route to advertise their product, whether it is the saas-bahu duo dancing on “Saat Samundar Paar” in a Cadbury Dairy Milk Ad or the Doublemint ad which uses a romantic script of a young couple with the background song of “Ak Ajnabee Hasina Se”. Dabangg producer Arbaaz Khan was sued by Emami for mentioning its product Zandu Balm in its song- “Munni Badnam”, starring Malika Arora. • ‘Jabra Fan’ (Fan)- Facebook, Twitter, Google. The matter of the song “Munni Badnam”, however, took a turn differently. After the song was released, the sales of the product- Zandu Balm, rose by nearly 35% in that quarter. Emami then decided to settle the matter out of court and even ran ads starred Malaika Arora, in different languages. Brands did not even realize when they were trending because of the songs that used their product names. Soon after the release of the song “Coca Cola tu” which made its debut in Bollywood from the upcoming movie ‘Luka Chuppi’, #CocaCola was trending on Twitter, garnering numerous eyeballs. Similarly, brands like Zandu Balm, Fevicol, etc. have been benefited because their sale increased because of the product name catching an eye of the viewers. If brands tend to sue songs for using their product’s name (apart from defamation), then this song suits the most for them- “Isme Tera Ghaata, Mera Kuch Nahi Jaata”.